As part of our Community Adaptation effort, CIRC team members meet regularly with our Pacific Northwest partners, engaging and collaborating with them to craft tailor-made climate adaptation strategies that empower communities to visualize the many changes they face in the future, and, most importantly, to outline what they can do to prepare. We do this by combining our team’s climate and social science know-how with the know-how and concerns of our partners. The idea here is simple: nobody can see the whole climate change picture, let alone chose the ‘right’ path for adaptation, but by working together, we can get a little closer. Together we can put science into action, and in the process become resilient to climate change. CIRC has helped do this through the many projects we’ve ran and participated in. 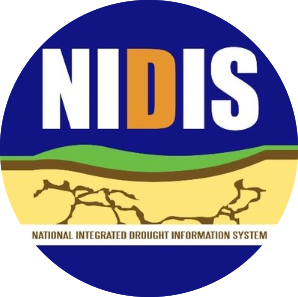 The National Integrated Drought Information System (NIDIS) is a groundbreaking, national inter-agency effort aimed at making our nation more resilient in droughts and their impacts. Being led by CIRC’s parent organization, NOAA, NIDIS functions as a kind of scientific and policy think tank for all things drought related. Under NIDIS and its funding mechanism Coping With Drought Initiative, CIRC team members have been laboring to raise the profile of our region’s responses to drought through media engagement, local outreach, and collaboration with partner organizations in our region. 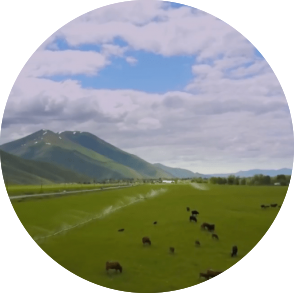 CIRC’s efforts are currently being funneled into the Drought Early Warning System (DEWS), an ambitious effort created to help empower farmers, ranchers, and others to proactively respond to drought through innovation. 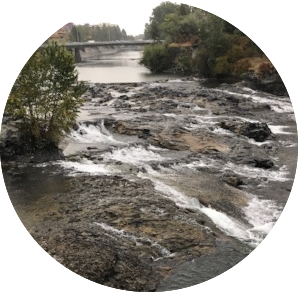 CIRC team members are also hard at work developing and perfecting our own drought-related Climate Tools to help our Pacific Northwest neighbors get the most up-to-date information about drought, its impacts, and what it means for them. 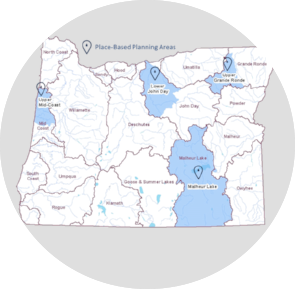 The Oregon Water Resources Department’s Place-Based Integrated Water Resources Planning effort is a framework for Oregon communities “to meet their water needs now and into the future.” In the summer of 2017, CIRC was invited to participate in the effort by OWRD Director Thomas Byler. CIRC gladly accepted the offer and is now in the process of scoping how best to apply our research and expertise to the effort. In 2012, CIRC started working with community members in Idaho's Big Wood River Basin to help them investigate and respond to changes that the basin is likely to experience as the climate changes. The result was the Big Wood Basin Alternative Futures project. Through the water utility-led PUMA project, CIRC worked with the Portland Water Bureau (PWB) and Seattle Public Utilities (SPU), aiding the water providers as they created the necessary in-house capacity to secure their water resources against the negative impacts associated with climate variability and change.PWB and SPU are now using data and tools CIRC co-created with and for them as they provide drinking water for their over 2 million customers. 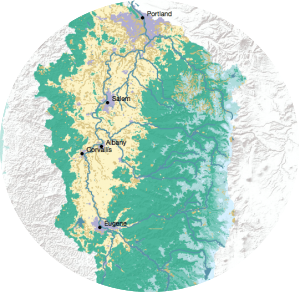 The Willamette Water 2100 project examined how water supply, land use, and water scarcity in Oregon's Willamette River Basin are expected to change in this century under the drivers of climate change, population, and economic growth. 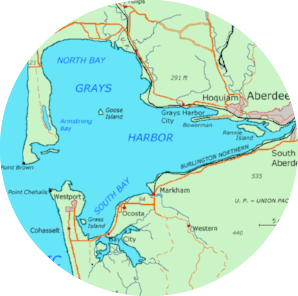 CIRC helped the coastal community of Grays Harbor, Washington quantify both the likely coastal hazards the community faces and the likely costs of mitigating the effects of those hazards. This project and its financial analysis could help the community save millions of dollars as it plans for coastal hazards. 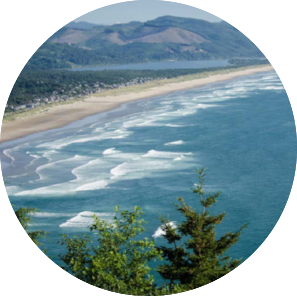 CIRC worked with homeowners, planners, and government officials in Tillamook County, Oregon. Together we developed a series of probable future scenarios that mixed policy choices with future climate and sea level rise projections. 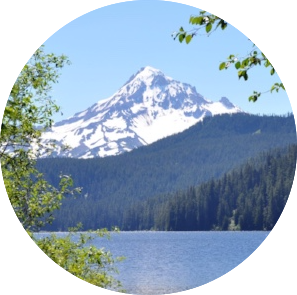 The North Coast Climate Adaptation project builds on the state of Oregon’s 2010 Climate Change Adaptation Framework, an effort to address climate’s impacts on the state’s natural resources, businesses, and transportation infrastructure. 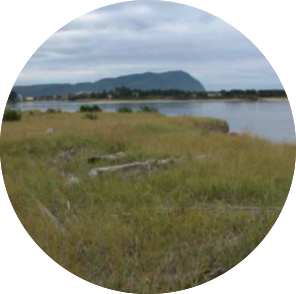 In late 2013, CIRC partnered with Oregon Sea Grant and the Oregon Department of Land Conservation and Development to create an adaptation project built on the Framework for Oregon's Clatsop and Tillamook Counties.